How often have you experienced doubt, loneliness and anxiety? When an important decision has to be made do you find it difficult to make the right choice? If so, you are relying on your own limited insight. Regardless of the circumstances, put your plans, your doubts, your fears and your problems before the Lord’s throne of grace and ask Jesus to be your Guide. Be sensitive to the whisperings and stirrings of the Holy Spirit in your life, and face the future with faith and hope. You can rest assured that the living Christ will be by your side, leading and guiding you. 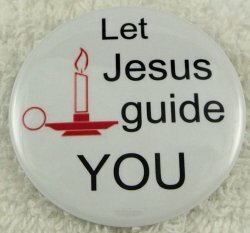 Lord let Your kindly light guide me. Help me to understand that I should take life one day at a time and seek Your guidance in everything I do. Amen. SOURCE: Culled from Grace from Each Moment Devotional.